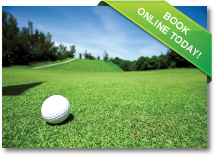 Book your Algarve golf online today! The Algarve is the southernmost region of Portugal and isone of Europe's favourite destinations well known for glorious year round sunshine and excellent sandy beaches.The 160 kms of the Algarve coastline boast some of Europe’s most spectacular beaches. 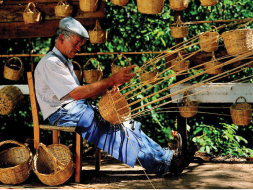 Away from the coastline it is well worth exploring the inland Algarve regions - the lush vegetation of the Monchique Mountains, traditional villages and historical points. Lagos was an important Roman settlement called 'Lacobriga' and a variety of ancient Roman ruins remain including the old slave market. Lagos has many different beautiful beaches and a modern marina all within walking distance of the town centre. Strolling around day or evening you will find a plethora of restaurants, bars, historical sights and other diversions to choose from, and in the early hours of the morning, dancing and music to suit all tastes. The western Algarve represents the typical Algarvian lifestyle with many picturesque, traditional and historic towns and villages such as Praia da Luz, the typical fishing villages of Burgau, Salema, Figeira and Rapaseira, all running along the coastline with spectacular beaches. 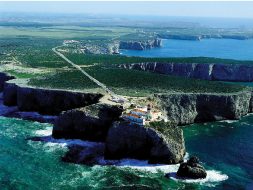 At the most south westerly tip of Europe you will find Sagres, steeped in history and boasting breathtaking views out to the Atlantic Ocean. 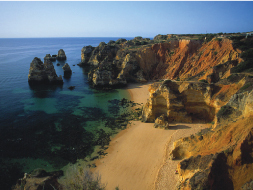 The western Algarve is truelly the jewel in Portugal’s crown.